Rich documentations create trust on your products and brand. An analysis shows that only the rich documentations can boost up the brand loyalty and product selling ration as well. After a year of research, ultimately the xDocs come up. Apparently, we implemented a bunch of interactive ideas in it to make our documentations looks great, and that leads our product selling ration increased near about 23%, last year. 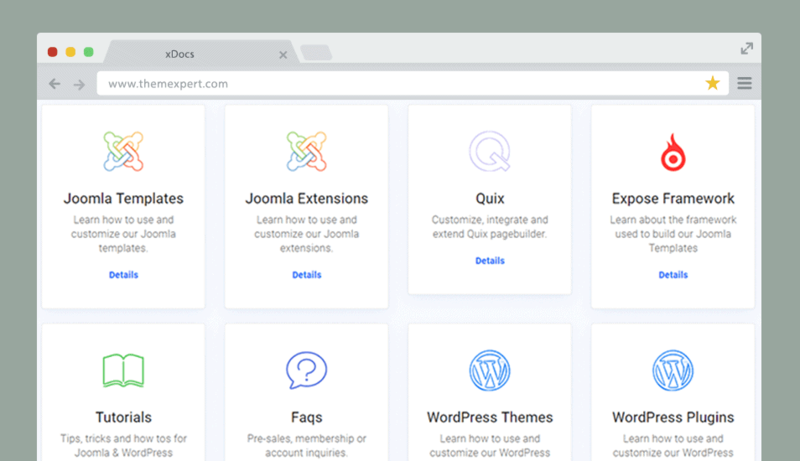 Then, we decided to release the xDocs for all, since our mission is to help you in building a sustainable business. 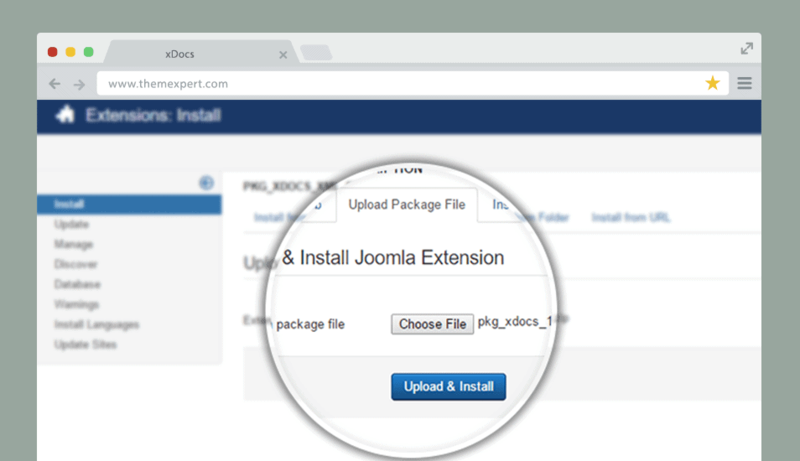 xDocs Joomla extension wisely crafted with extensive capabilities to take all the responsibilities and allow you to organize the documentations in a standard manner stunningly. Everything you can arrange in a limitless creative way without absolutely no coding. It only leaves little things to your hand, and itself does everything on behalf of you. Besides, it does tons of works to make sure your flexible working with it. Let's have a look, what it is capable of. The following information will exist on every article you make; creating date, date of modifications, created by, etc. 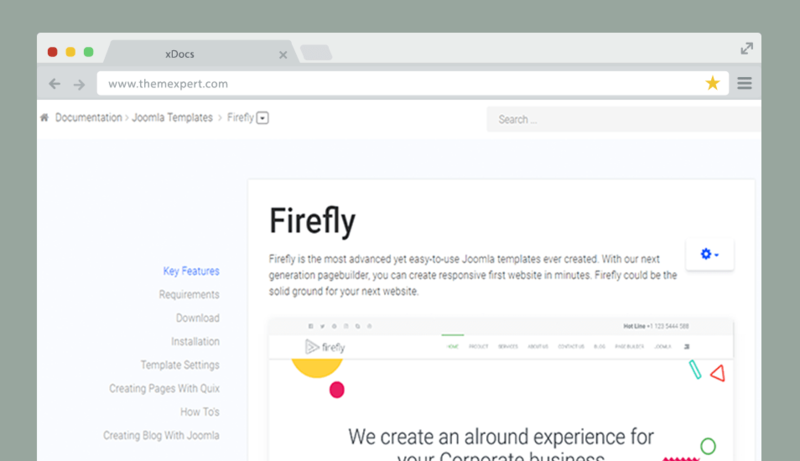 Capable of take care every single thing and left no works on your hand just create docs. xDocs does have the most simple installation process ever. It requires a single click to successfully install and consumes only a few seconds to make itself ready to work with. It's completely hassle-free more than you think. Creating your own knowledge-base is nothing but a one minute task. 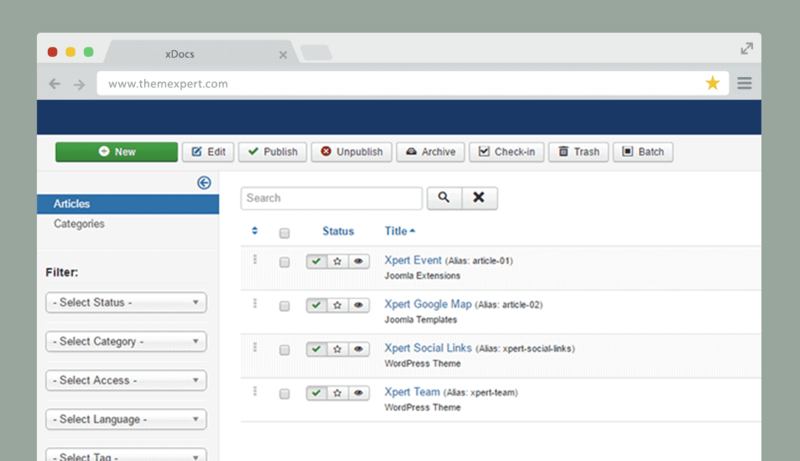 xDocs built with injected the capability that let you manage every slice of your tasks to do so, in less time. Through its enhanced functionalities as well as meaningful dashboard module, you can effortlessly create and manage your own knowledge-base. You need not worry about the rest of the works relate to this, while it takes the liabilities to provide you as you expect. Organizing documentations of virtual products in a structural way is one of the best usability of xDocs. It gives you the flexibility to implement your own preferred style to your documentations hence represents in an artistic manner, unlikely our ThemeXpert documentation page. No pesky scrolling require at the time of reading articles. 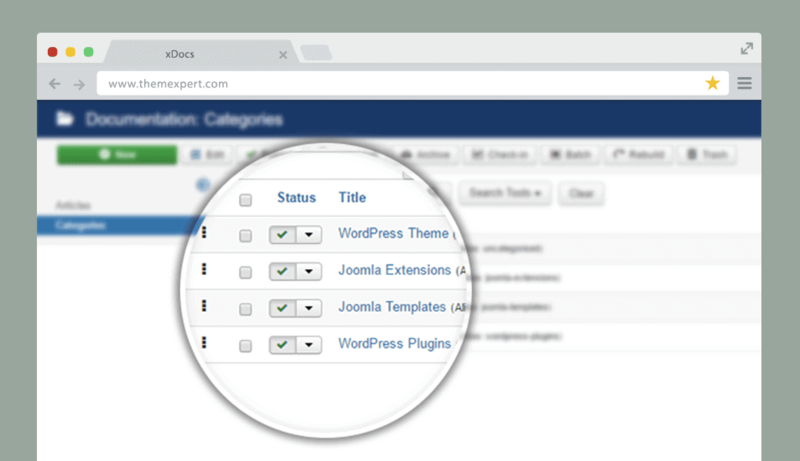 xDocs automatically creates an excellent drop-down navigation menu for individual articles. Just to click on the menu items from the navigation, it’ll smoothly navigate you in that particular topic instantly. There are plenty of software solutions around the internet who provide documentation as for their service either. But you have to pay a monthly amount in order to avail their service while we’re offering you a lifetime usability only by paying a nominal amount once.